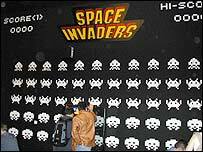 A website that aims to record the history of videogame innovation is calling on games fanatics for help. The Game Innovation Database (GIDb), as the website is known, has been developed by a team at Pittsburgh's Carnegie Mellon University. The online encyclopaedia is similar to Wikipedia and allows users to browse and edit the site's content. The developers hope that games fanatics can start to build a complete picture of the last 35 years of games history. When complete, the team behind the site believe it will be the first complete online record of a rapidly changing industry and a useful resource for those who don't know their Pong from their Pac-man. "We have created the Game Innovation Database in order to create a historical record of which innovations appeared when, and why they are important," said Professor Jesse Schell of Carnegie Mellon University's Entertainment Technology Center, and one of the team behind the site. "So many videogame innovations have occurred so fast that there is a danger that many fascinating and important innovations will be forgotten." The website currently has nearly 400 entries that describe the first appearance of a new experience in a videogame or feature on a games machine. Entries range from when barrels and crates were first used as obstacles in games to the arrival of the first hard drive in a games console. The site also has a section where users can "ask and solve life's most difficult questions" such as which game had the first jump button. As well as providing a quick fix for games trivia fans, the site also hopes to be used as a serious tool for those people developing the next generation of video games. "This database will be able to serve as a historical record and a teaching tool, as well as a helpful resource for designers who want to study what has come before," said Professor Schell. The team are now appealing to games fans to get involved with the site by contributing entries or correcting errors. Users with a strong interest in the development of gaming can also apply to the site's editorial board. 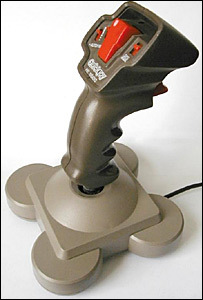 If accepted, they will act as custodians of computer games history and will be expected to know that Donkey Kong was the first game with that all important red button.